Ah, yes… another year, another Bournemouth Film & Comic Con. Hurrah! Sadly the “comics” element seems to be pretty nominal at this point, as there wasn’t a single comic-book-related guest this time around, and only one-and-a-half stalls selling back issues and g-novels. Boo! 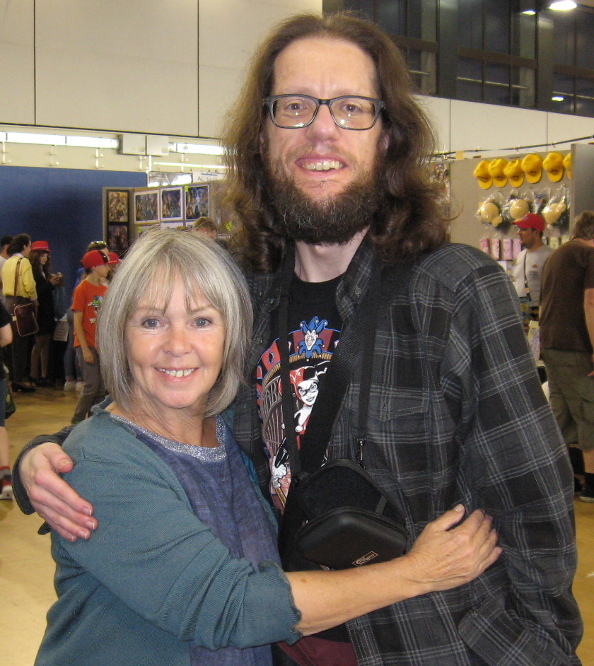 On the plus side, there were still plenty name TV/film actors for us to goggle at, representing many of the major fantasy/sci-fi franchises… with my personal fave being Wendy Padbury, best known for playing ‘Zoe Heriot’, the most adorable Doctor Who assistant of all time! I was a little worried about missing her talk, as it was scheduled to begin at 11am, which is the exact same time that the doors were due to open for us cheapskates with “standard entry” tickets… but thankfully I was near the front of the queue, and able to scurry my way to the main stage area without missing too much (or causing any embarrassing disruptions). I didn’t take any notes, but will attempt to recount some of the funner (paraphrased) facts that I can remember: As a young girl, Padbury had ambitions to be a prima ballerina, but was impeded by her slightly-flat-feet, and diminutive height… so she segued into acting instead. Although Padbury greatly enjoyed playing Zoe at the time, and still considers her a very strong and smart female role model, she does lament, in retrospect, that she didn’t really get a chance to develop her character over the course of the series. Apparently she was able to change occasional lines/actions, on a scene-by-scene basis, as they were rehearsing/shooting them, but had no real input into the storylines or scripts as they were being written. And finally… the sparkly cat-suit that attracts so much attention from fans (ahem!) was also the most comfortable outfit she ever got to wear on the show, thanks to its soft stretchy fabric. Good to know. On a more serious tip, Padbury also paid a moving tribute to fellow “companion” Deborah Watling, who passed away earlier this year. Although they never worked together on the show, as Zoe joined the Tardis crew a couple episodes after Watling left the cast, the actresses had become good friends over the subsequent years, through convention appearances. Later I got to meet Padbury face-to-face, and ask her to sign a copy of Doctor Who: The Complete History (Vol. 13) that I’d brought along with me, before posing for a photograph together. * I told her how much I’d enjoyed her talk, and sympathised with her about the short shrift that Zoe was given by some of the writers, making the point that Star Trek got an awful lot of mileage out of logic-loving hyper-intelligent characters learning to explore/embrace messier human emotions… which is the obvious story-arc suggested by the way she’s introduced in “The Wheel in Space” (ep #5.35-40), though sadly that wasn’t the way the cookie crumbled, in her case. Anyhoo, I’m happy to report that Padbury was a very friendly and hospitable guest (if that isn’t an oxymoron? ), and it was a real pleasure to meet her. 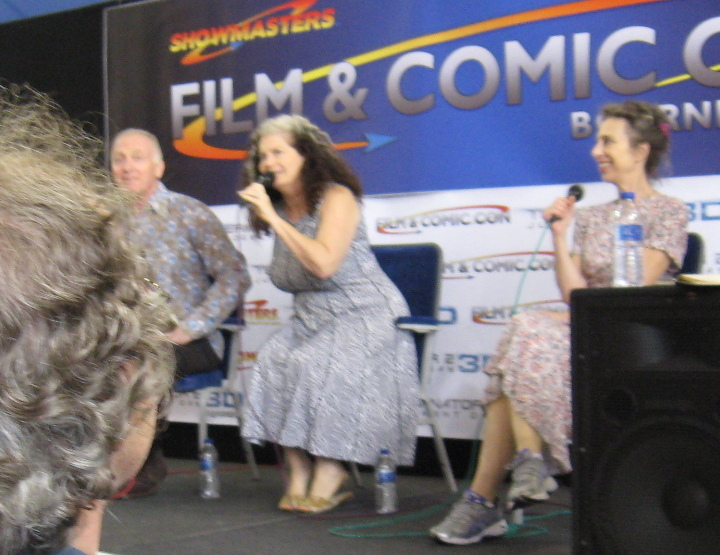 Another notable highlight of the day was the three-way Q&A featuring Aliens actors Mark Rolston, Jenette Goldstein, and Colette Hiller. If you ever get the chance to see Goldstein give a talk (on any subject), then I’d highly recommend it, because she is absolutely hilarious in person… and a lot more out-going than you might expect from all of the serious and scowly characters she’s played onscreen! Rolston also scored some big laughs, while Hiller earned a round-of-applause for her admission that she once held the record for the shortest-lived presenting role in British TV history (after being fired from O.T.T. (aka “Over The Top”) after just one episode, back in the 1980’s). Despite giving the impression that the Aliens set was a rather hazardous place to work, the actors all admired James Cameron’s commitment to the film-making process, and kindness when it counted. Rolston repeatedly praised Goldstein for being buffer/fitter than any male cast-member, back in the day… she also had to spend the most time in the make-up chair every morning, getting her brown-eyed contacts put in, and her deep tan applied (by brush, not spray-can!) Although the immortal “Anyone ever mistaken you for a man?” line was scripted, it was Goldstein’s suggestion that her character be turned away from ‘Hudson’ (Bill Paxton) and doing pull-ups at the time… because if she’d been facing him directly, wearing that vest, then the question would have seemed pretty ridiculous. True dat. Anyhoo, the talk was a riot, and everyone was sad to see it end so soon… but the stage was needed for John Rhys-Davies’s Lord of the Rings Q&A (I didn’t stick around for that one, but I could hear him bellowing away while I browsed at a nearby stall, and he was clearly giving the audience a great show too). 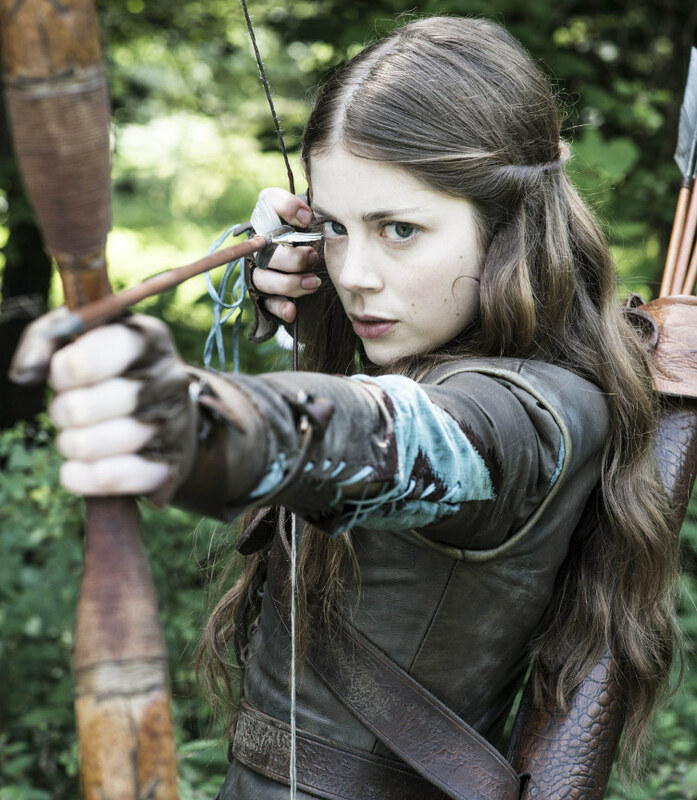 I had been looking forward to seeing Charlotte Hope, and gushing/geeking-out over Game of Thrones at her… but sadly she’d cancelled her appearance a couple days earlier, and spared herself that ordeal. Nonetheless, it was a super-fun day out, and I look forward to doing it all again next year… by which time, fingers-crossed, I might have finally figured out how to focus my camera properly… gah! This entry was posted in Posts about Me, Rants about Films, Rants about TV and tagged Aliens, Bill Paxton, Bournemouth Film & Comic Con, Charlotte Hope, Colette Hiller, Deborah Watling, Doctor Who, Dr. Who, Film & Comic Con Bournemouth, Game of Thrones, James Cameron, Jenette Goldstein, John Rhys-Davies, Lord of the Rings, Mark Rolston, OTT, Over The Top, Wendy Padbury, Zoe Heriot. Bookmark the permalink.